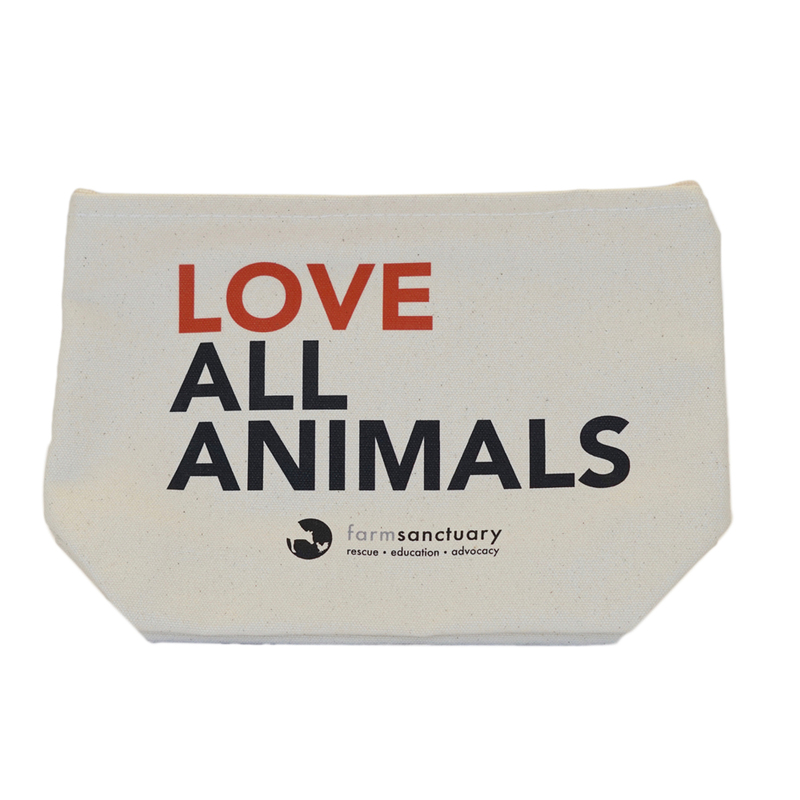 When sanctuary staffers rescued Blitzen during the 2010 holiday season, we knew that his arrival was one of the greatest gifts we could ask for. 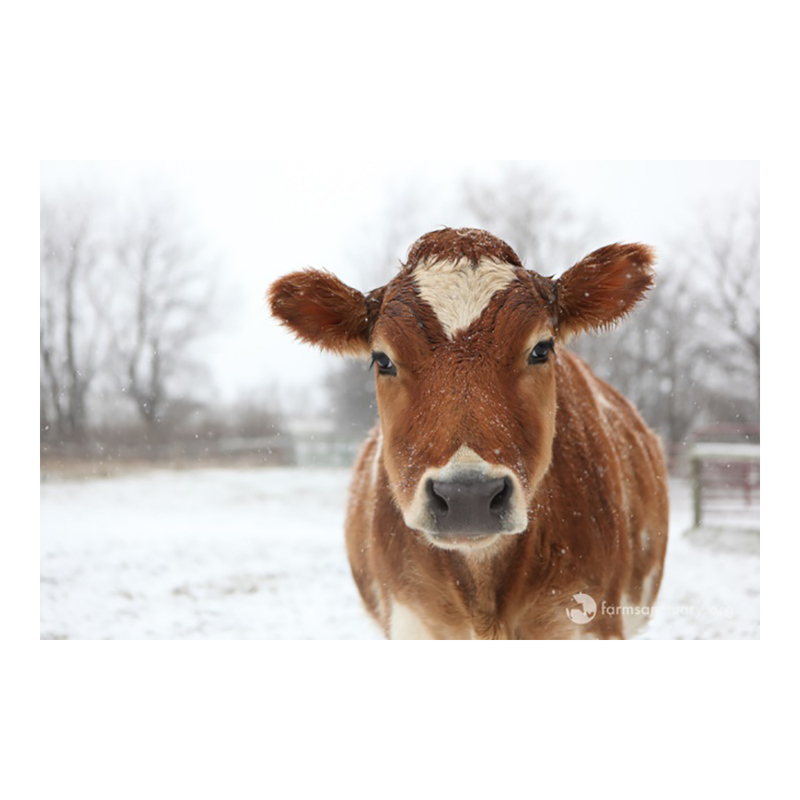 A male calf born into the dairy industry, Blitzen had faced a bleak future. 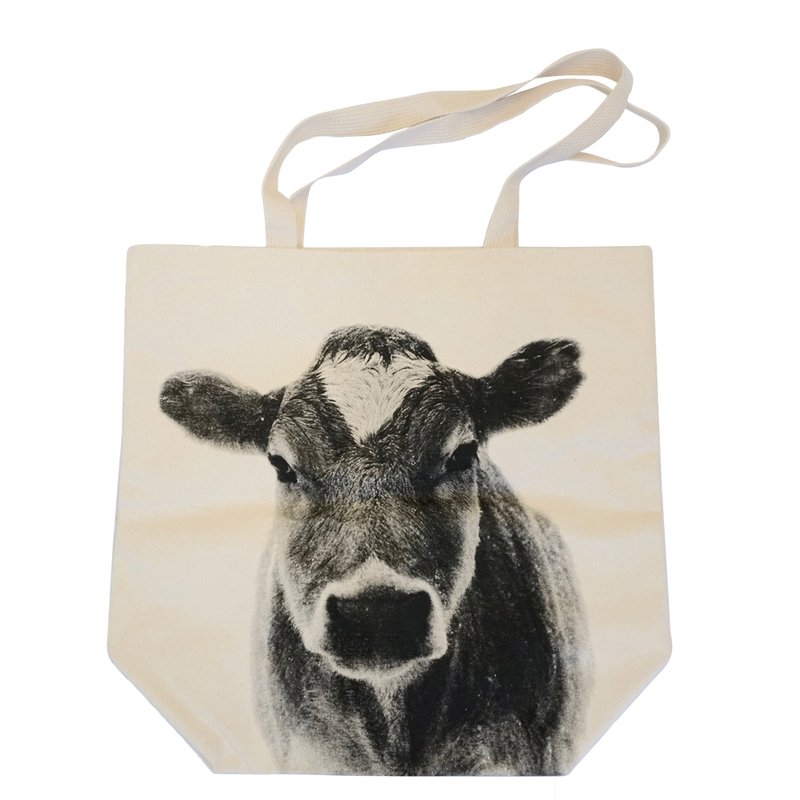 As a tiny newborn, he was taken to a stockyard auction, but at just 37 pounds, no meat buyers wanted to bid on him. 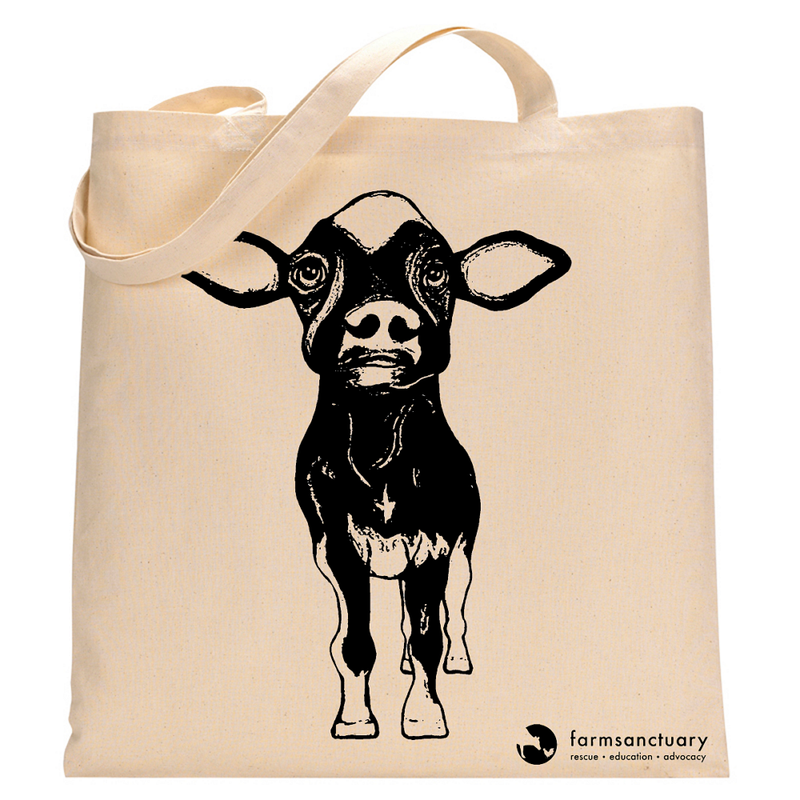 Thankfully, stockyard workers relinquished him to Farm Sanctuary, where he now lives happily with his friends. 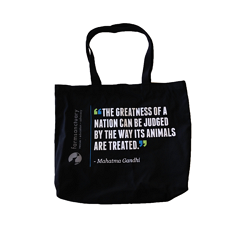 This beloved animal ambassador inspires compassionate change in all he meets — and now you can do the same in his honor. 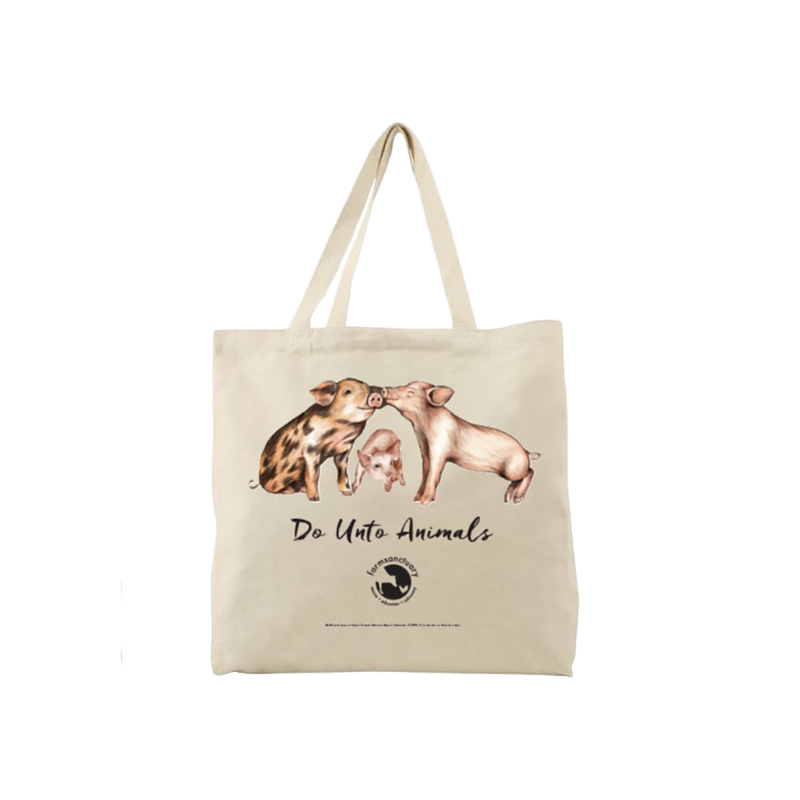 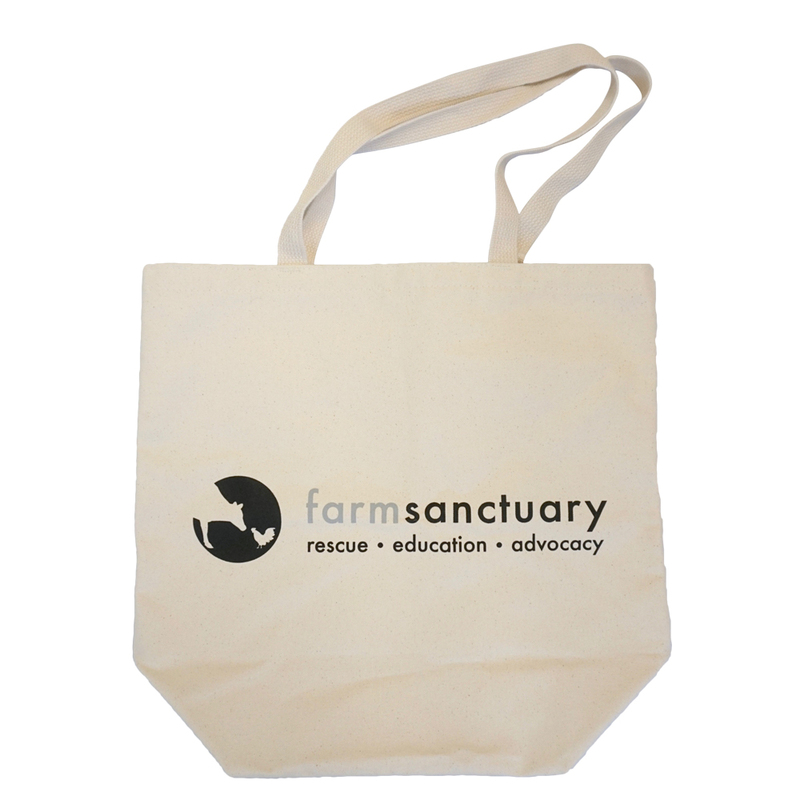 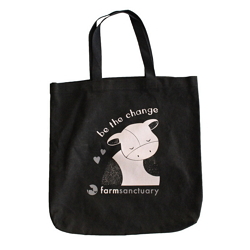 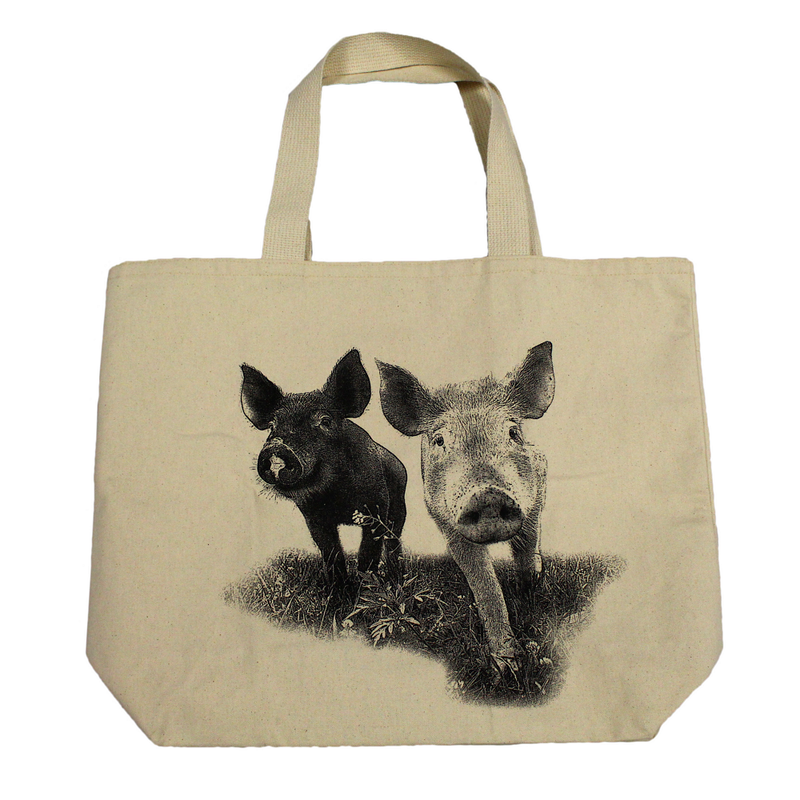 Farm Sanctuary’s Blitzen tote is a perfect way to carry your compassionate values wherever you go!